Private, one-on-one sessions, allowing deeper explorations into your therapeutic healing journey. Supporting clients through trauma and growth, journeys in grief, anxiety, depression, identity exploration and formation; as well as working with split off pieces of the Self and moving towards integration and individuation. My experiences with Nikki have always been professional, supportive, caring, non-judgmental and inclusive. The studio is clean, bright and welcoming; her programming is diverse & relevant. Nikki is a highly educated woman with both work and life experiences that allow her to witness, empower and encourage healing to those that seek it. Be brave and seek healing, creativity and new experiences in this one of a kind local art therapy studio. ~ S. M.
Supported by a professional Art Therapist, feel the universal healing energy flow through you to assist you on your Unique Healing Path. Can be combined with Individual Art Therapy for deeper work. 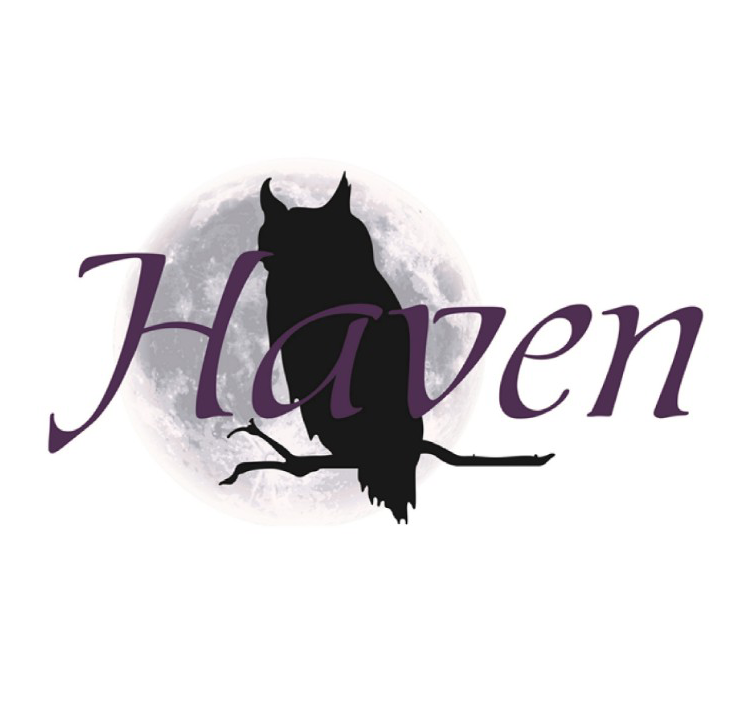 Haven is an amazing Art Therapy Studio, owned and facilitated by Nikki Featherstone. Nikki is a gifted and effective therapist. I was fortunate to find Nikki at an extreme low in my life, my journey and recovery since has been absolutely amazing! There are no words to describe my gratitude for her amazing insight and skills, and their affect to empower the spirit and reactivate the soul! I’m a much different person because of her guidance and abilities! I can’t say enough, to honour her and the process! I highly recommend Nikki and Haven! ~ L.H. Custom rituals and ceremonies created specifically for you, your intentions and your Spirit. Can be combined with Reiki and Individual Art Therapy for holistic healing. I’ve spent time in circle with Nikki of Haven. The space she creates/holds to dig deep into yourself and to also connect with spirituality is unmatched. Any and all events/retreats held are 200% recommended. ~ C. D.
A short term art therapy process that is informed by Jungian psychology, Buddhist methods, & Shamanic Traditions. It provides pathways to deep transformation, healing & integration of the Self. An incredibly talented art therapist. I would recommend her skill set to anyone. ~ C. W.
Nikki is an incredible art therapist and wonderful person. Highly recommend! ~J. D.
Guided groups through important life and internal Spirit events. The themes explored in each workshop/group are varied and will focus on a theme, (i.e. body and self-image empowerment, grief and loss, reconnecting relationships, and reclaiming women’s power). Themes will be posted in detail for sign up purposes. No artistic ability or experience required – you cannot do the art wrong in art therapy! You will be held in a safe space of non-judgment and celebration of who you are, as you are. Nikki does an amazing job at helping you tease out what’s under the surface in your artwork.. ~ M. G.
Book your own Private Art Party or Art Therapy Group! Birthdays, Anniversaries, Staff Wellness, Friendship Circles, Bachelorette Parties, Company Holiday Parties, & More! There are endless reasons! Nikki has such a wonderful presence. Authentic, puissant, and open, you will be blessed with any interaction you have with her. ~K. H.
As a professional Art Therapist, Nikki works with varies non-profit agencies to provide art therapy to the community, which allows citizens to by-pass any financial barriers that may be impeding their access to mental health supports. She has worked with, for, and in partnership with the Canadian Mental Health Association, the Family Violence Action Society, The University of Alberta – Augustana Campus, the Hospice Society of Camrose, the Camrose Pride Community, and others. If your agency is interested in contracting Nikki’s professional art therapy services, please inquire about rates and availability. Projects are welcome!